Having not set foot in the U.S. for exactly 18 months, I felt extremely out of place and overwhelmed during my recent trip. An 18-month stint is the longest I’ve ever been away from “home” during the past 5 years that we’ve been living abroad as expats, currently residing in Poland. In April, I spent about 3 weeks in the U.S. visiting family and friends and spending time with my dad who has been ill. Although I don’t really miss “home,” the trip was much needed to catch up with our loved ones. Skype conversations and email are wonderful tools to keep in touch, but they can’t replace face to face time in the same place. So while I was in the U.S. I experienced what I’ll call 7 culture shocks in this new post. I guess after being away for an extended period of time my eyes were re-opened to how different life IS or can be in America. My trip took me through NYC, New Jersey, the Detroit airport and Nebraska, where I grew up, so my revelations are based on those locations. I’m interested in hearing if you’ve ever experienced culture shock especially in your native country. As soon as I walked through the JFK airport, I was surrounded by people of all colors and races. The languages swirled around me and hearing so much English being spoken made my ears buzz. The same experience continued during the couple days I wandered around the melting pot of NYC, took the subway and simply enjoyed being back in one of my favorite cities. In contrast, Poland is really, really white with a few Asians (mainly Koreans and Vietnamese) thrown in the mix. According to the Polish Central Statistical Office (Główny Urząd Statystyczny; GUS) 96.7% of the 38 million people are Polish, making the country very homogeneous indeed. I don't have a really good photo to show the diversity in NYC. However, eating dim sum is definitely culturally different and not common in Poland. A few months ago, a German acquaintance said that Americans are fake and too friendly. I disagree. After living in a country where people often ignore my “dzien dobry” replies in my own apartment building, cut me off in lines or never say thank you if I hold the door open especially for elderly people, I was thrilled beyond words to be greeted by my fellow friendly Americans. Everyone was so nice! Restaurant staff were super friendly. Store clerks were helpful. Every day people held doors open for me and told me to have a good day. I think being friendly is a normal part of our American culture, and I for one relished my recent American experience! As I’ve mentioned before in this post, I have a thing for ice and so do most American expats I’ve ever met. I loved being served unlimited and FREE, tall glasses of ice water at every café or restaurant I frequented during my trip! I want my cocktails served with ice. I want my white wine served cold and my water not to be room temperature, especially on a hot day. Sure, I’ve adjusted and I don’t normally complain in Europe, but next time can someone please serve me some ice? 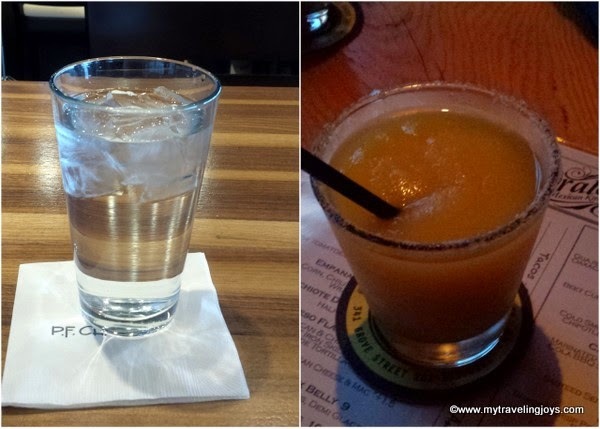 Expat joys - free ice water and icy cocktails in America! So far, Scotland wins for being the best European country at serving ice water! 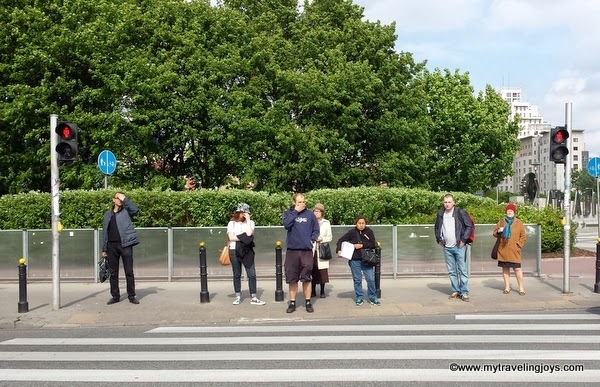 One of the things that drives me crazy about Poland is having to wait at street corners until the pedestrian light turns green. Technically, you can get fined by the police for crossing the street on a red light. I understand having this rule in place on busy street corners, but on quiet side streets or when it’s like 0C outside, I refuse to stand and wait. So when I was in NYC, I jaywalked whenever I could like all the other New Yorkers out there. No jaywalking allowed in Poland! Having lived only in big cities for the last 10 years, I sometimes forget about all the wide open spaces there are in the world. My native Nebraska is full of gigantic fields, wide rivers and long, open stretches along the highway. I was thrilled to have a change of scenery and enjoy feeling quite small in this big world! 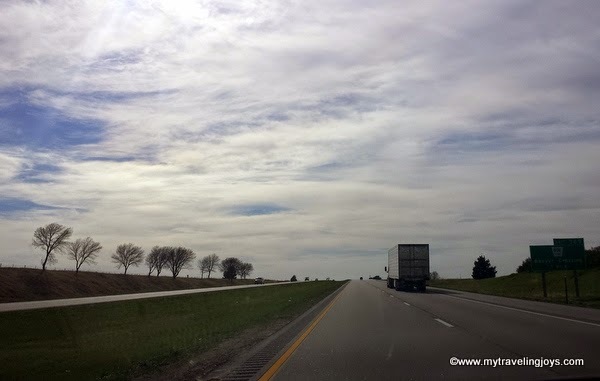 Wide, open highways are perfect for listening to favorite high school songs and singing as loud as you want in the car! 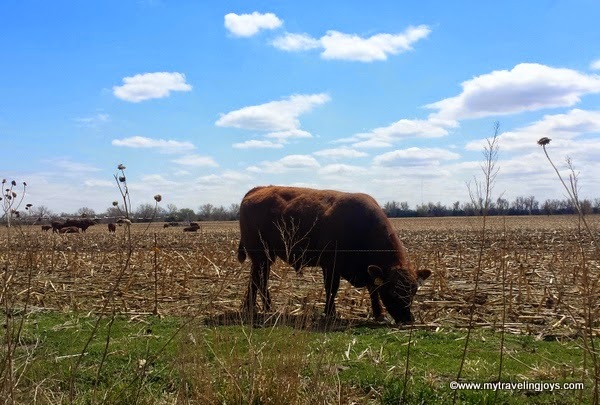 We have lots of cows in Nebraska! Doing Laundry in an Hour! Have you ever done laundry in Europe or Turkey? If you answered yes, then you know how dreadful it is. An average load will take at least 3 hours to wash and dry. Luckily, we own a washer and a dryer, but the latter basically “steams” our clothes and takes an average of two hours to dry a load of laundry. It’s often easier to hang out the clothes on a rack near a sunny or open window to air dry! However, when I was at my parents’ house, I used their mega-sized, American washer and dryer and completed a load in just an hour! What a time saver! Note: no dogs were injured in the taking of this photo. In fact, Sandy (my parents’ dog) seemed quite content to pose for my photo. Shopping in the U.S. is overwhelming! I spent over an hour each time just walking around Target or Wal-mart even though I had a list. I think Americans take a lot for granted, and I think this is just one of them. American stores offer so much variety and so much stuff you don’t even need. Being abroad, I’ve learned I don’t really need as much stuff as I once thought I did. However, it was nice being able to read all the hair products labels in English and buy stuff that I actually did need! 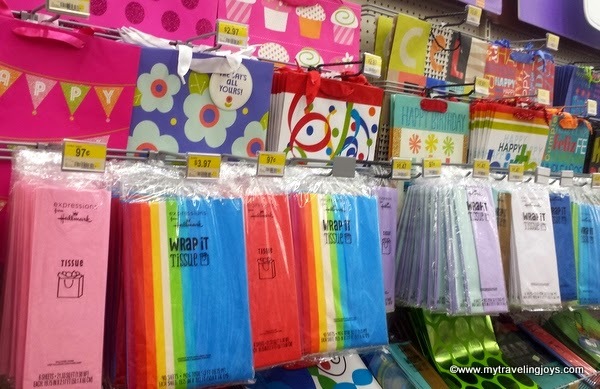 At our local Wal-mart, I think there were like six aisles just for greeting cards, wrapping and tissue paper and birthday supplies. Amazing! Have you ever experienced culture shock in your own country? We've not been back to the UK for almost 7 years and I know when we do go back, that's gonna be a huge culture shock. It really reminds me of the time I visited US. I experience almost everything there. Now I'm taking 1 to 1 polish classes via skype at http://preply.com/en/polish-by-skype because I'm gonna visit poland next. Great post! I agree with each and everyone! And the washing machine! Oh to be able to wash a huge comforter again without the worry of possibly breaking the machine! I have to admit, I sing in the car anyway - but I've never seen anyone in Ankara do it! Totally miss the diversity! Waiting at a light? Ha! (Didn't realize you are from NEbraska. So proud that you jay walk anyway!) Mind if I share this post? I never drove in Istanbul and I rarely drove in Warsaw so singing in the car is definitely a rare treat! My European friends laugh at me when I talk about our gigantic washers and dryers back in the US! I can SO identify! We lived for 3 years in Copenhagen, and he we returned to the states, it was so overwhelming to be able to understand what everyone was saying. And grocery stores freaked me out because they were so big by comparison and there were too many choices. We had no car in Copenhagen, and when we moved back, moved to an area where we could walk or take public transport. Well, we still had to have a car, but only one! :-) We walk wherever we can. We are spending 3 months in Warsaw now and enjoying the "European lifestyle" again. I've enjoyed reading about your adventures! Just stumbled on this and the laundry culture shock made me laugh - having moved from Europe (Ireland and then Norway) to the US, I am deeply in love with my washer and dryer. We will definitely miss those when the time comes to move. I hope you are settling into London - when I first began to visit London frequently for work, I initially found it overwhelming and not terribly friendly. Many visits later, some courtesy of an American expat friend, its one of my favorite cities.